→Sichenzia Ross Ference Kesner LLP Represents Vuzix Corporation in $14.5 Million Registered Direct Offering. Sichenzia Ross Ference Kesner LLP Represents Vuzix Corporation in $14.5 Million Registered Direct Offering. Press Release – New York, NY – December 2, 2016 – Sichenzia Ross Ference Kesner LLP announced today that it has represented Vuzix Corporation (NASDAQ “VUZI”) in a Registered Direct public offering of 2 million registered shares of its common stock at a price of $7.25 per share for gross proceeds to Vuzix of $14,500,000. Chardan Capital Markets LLC acted as the exclusive Placement Agent for the offering. 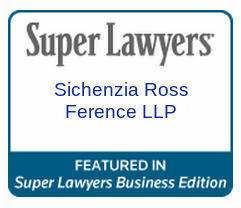 The Sichenzia Ross Ference Kesner LLP team was led by Partners Gregory Sichenzia, Thomas Rose, Marcelle Balcombe and Counsel Jeff Cahlon.